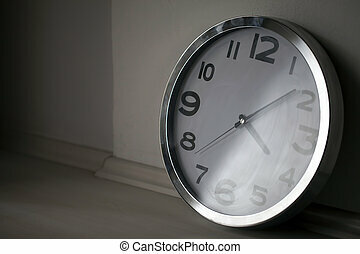 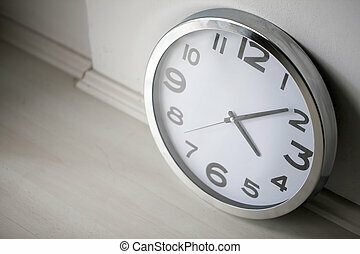 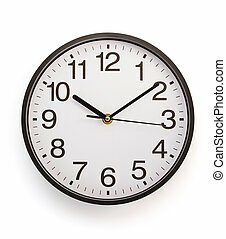 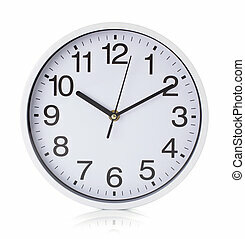 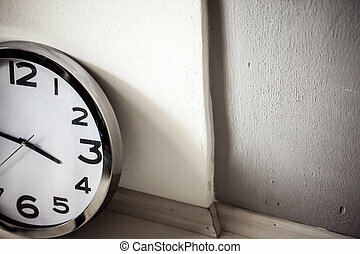 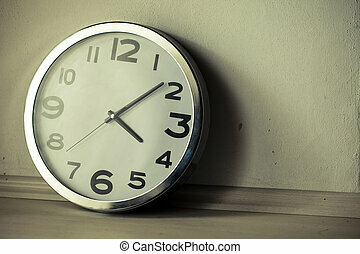 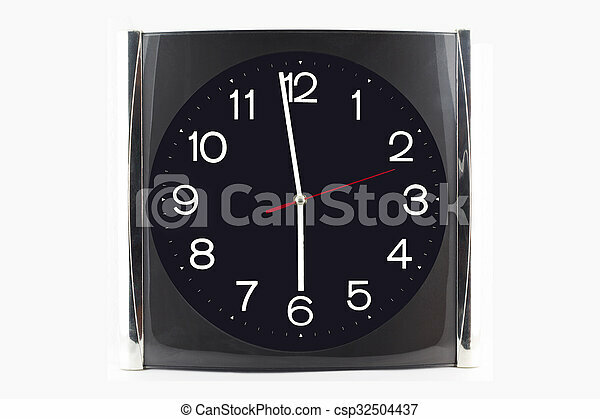 Clock black-grey stainless on the wall and table isolated on white background. 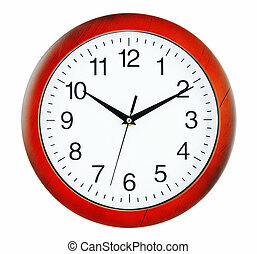 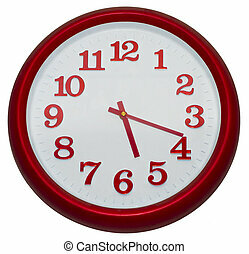 Red wall clock isolated on white background. 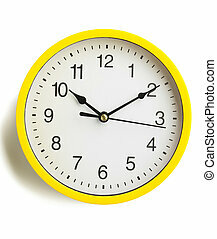 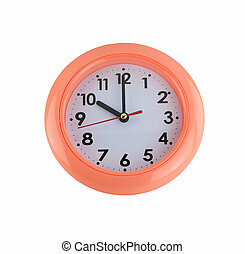 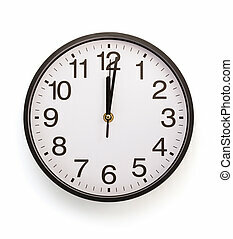 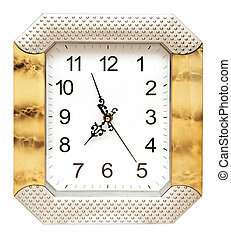 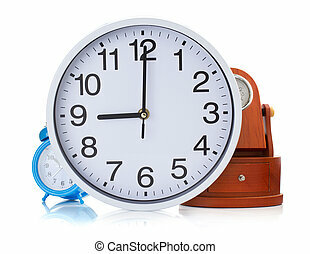 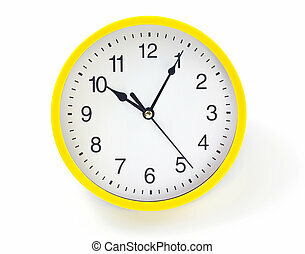 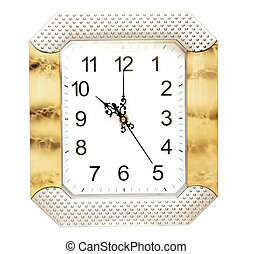 orange wall clock isolated on white background.